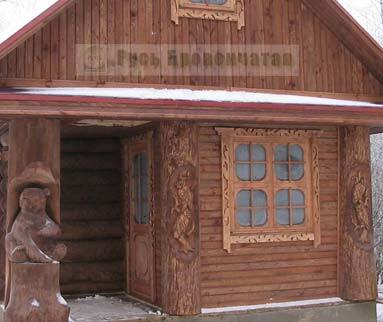 If you have chosen a wooden house as Your dwelling, for certain you do not remain indifferent at the sight of such magnificence as carved wooden decorations. 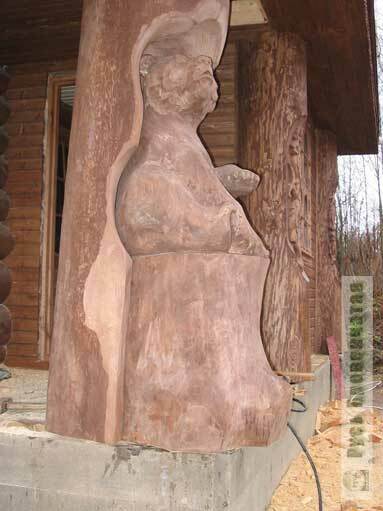 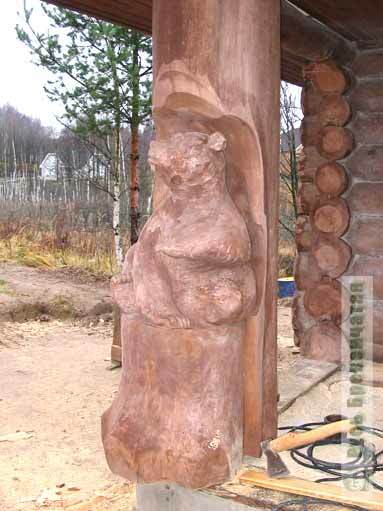 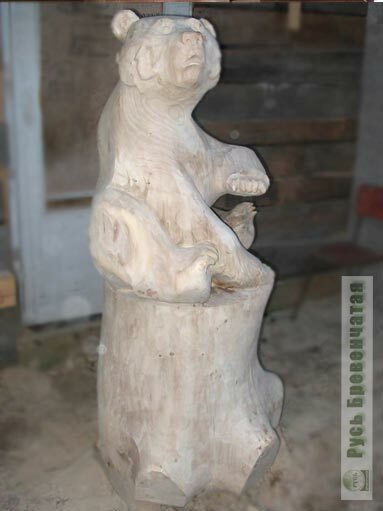 If you are more interested in carved columns, wooden panels and other elements, capable to decorate your house and which can be carried to 2D-wooden decorations (i.e. 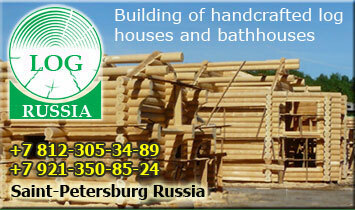 to two-dimensional figures) so visit the following page here. 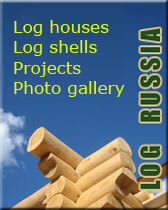 Photos, resulted below, do not demand special comments. 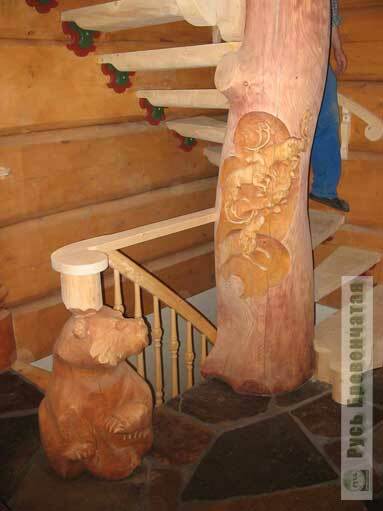 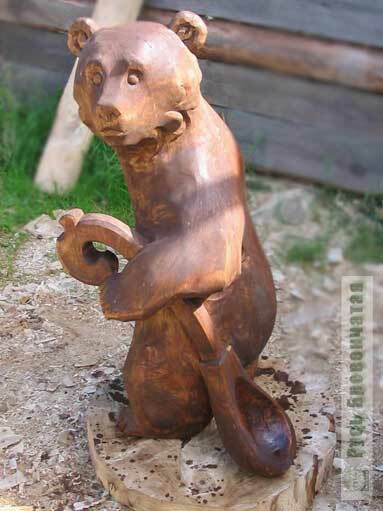 But we should only notice, that three-dimensional figures of animals and various personages (trolls, gnomes and others) can be both independent objects( a bear on a photo on the right), and the elements of design of the house (columns, bases of handrails, etc.). 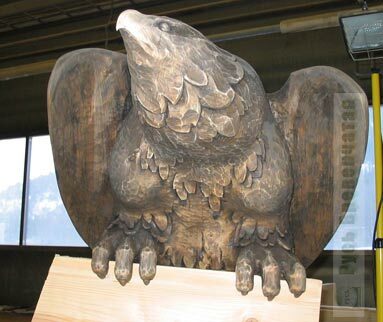 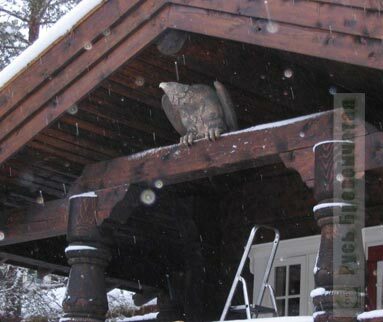 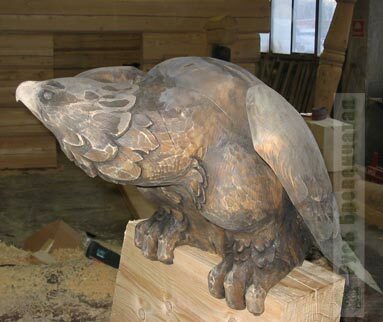 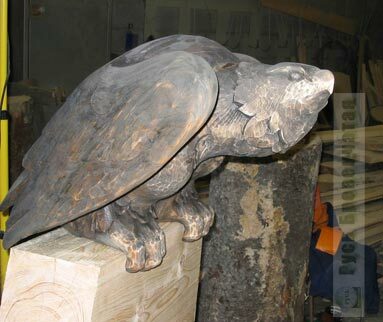 Another favorite character of our clients - the proud eagle protecting an entrance of the house. 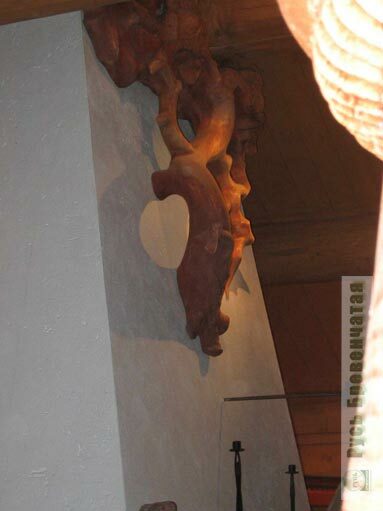 As it looks close and on the "regular" place you can see on following photos. 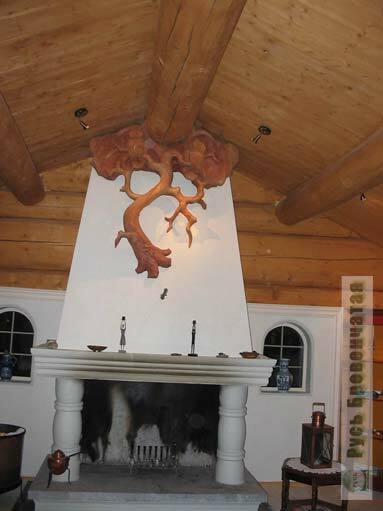 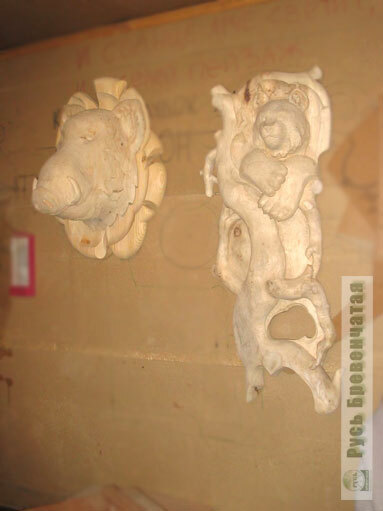 Elements of carved decor can also be applied at furniture decoration. 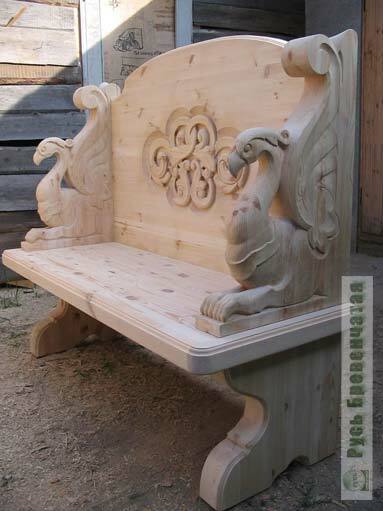 For example, on following images, the bench with carved back and armrests (before covering by varnish and after) is shown. 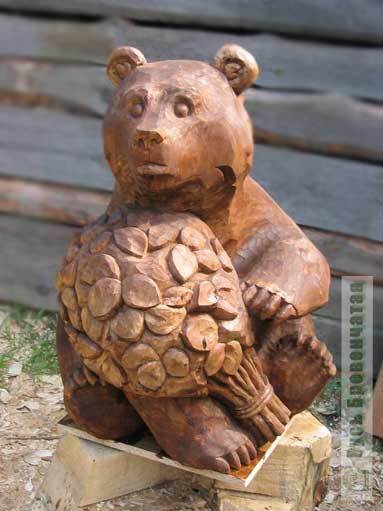 Well and some more bears too, where without them. 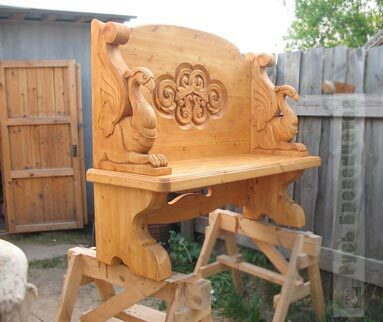 An ornate snag or a tree trunk in skilful hands of carvers turns to the works of art adequately decorating your drawing room. 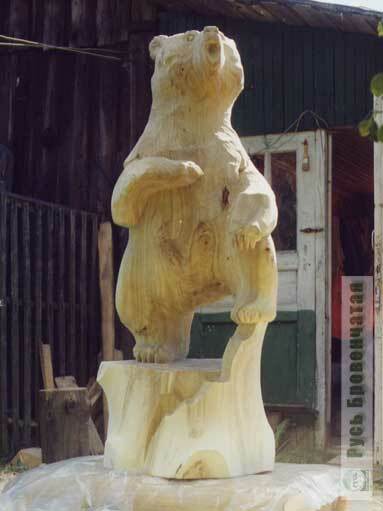 The hunting subject is many-sided. 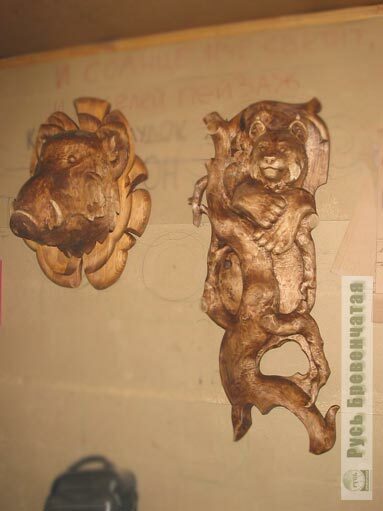 On following two photos images of a wild boar and a bear (before coloring and after) are shown. 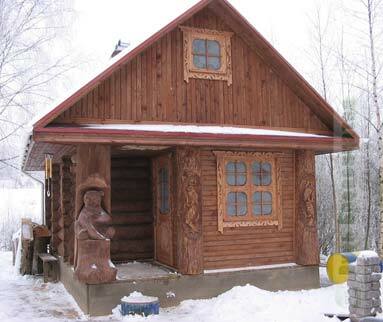 How to make "the house of miracles and fairy tales" from a non-remarkable small house, is shown on the following two photos. 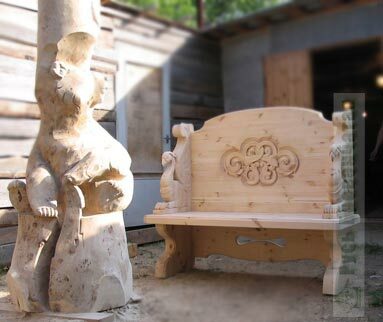 Who waits for you behind the closed door: a Troll or a Snow White? 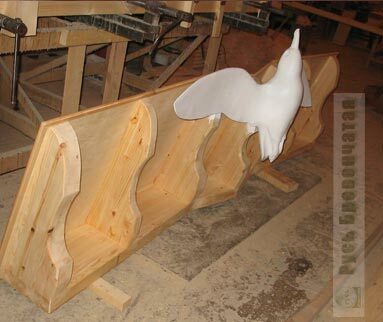 Well and a little more about birds. 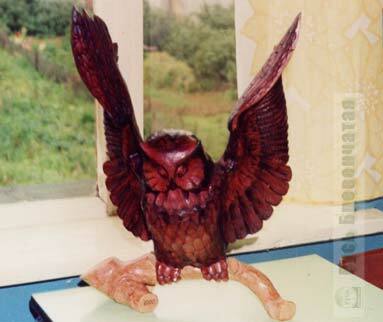 A wise owl, undoubtedly, will serve as a house ornament, and the flying seagull over an entrance door, probably, will remind its owner of sea spaces.